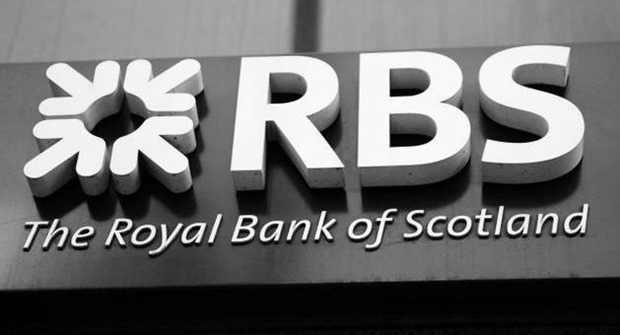 288 years old Royal Bank of Scotland, which is UK’s largest state-owned bank having operations across 38 countries, employing 141,000 employees has finally decided to shut down Indian banking operations due to consistent losses and decreased confidence among share-holders. In the process, around 1000 employees in India will be laid off. However, RBS’s back office operations in India would not be affected, and would continue to run as usual. There are around 7000 employees working for back office operations and 1000 employees managing their corporate and retail and investment banking operations in India across 10 branches in New Delhi, Gurgaon, Noida, Bangalore, Chennai, Pune, Mumbai, Hyderabad, Kolkata and Vadodara. Last year, RBS posted a loss of £3.4 billion, their 7th consecutive annual loss. In 2007, a consortium of three banks: RBS, Fortis Banque NV and Banco Santander SA acquired Dutch bank ABN Amro by paying $98.5 billion, which was described as Europe’s largest banking acquisition ever. Due to this takeover, RBS inherited 4500 branches of ABN Amro spread across 53 countries, and this included Asia’s wholesale and retail banking operations. This way, they entered India and inherited 31 ABN Amro branches and started their operations. They also opened their back office operations and last year closed down their UK back office operations and moved them to India. Right now, they have back office operations in India and Poland. However, acquisition of ABN Amro bank didn’t reap rich results for RBS and they had to ask UK Government for bailout during 2008 recessions. They received 48 billion pounds assistance but it meant that overseas operations in Asia had to be insanely profitable. But it never happened. From Rs.18,911 crore in 2007-08, the bank’s deposit base fell to Rs.13,039 crore in 2011-12. In 2013-14, their assets in India shrank to Rs 20,366 crore from Rs 26,360 crore year earlier, and they had to shut down 23 out of 31 branches in India in 2013. Due to consistent pressure from share-holders to increase profits and cut loses, they have now decided to exit 65% of the countries where they operated, which includes India. They will be focusing mainly on their core banking operations in 13 countries and strengthening their trading platform in US, UK and Singapore. "RBS Shuts Down Indian Banking Operations; 1000 Employees Face Axe", 5 out of 5 based on 1 ratings.